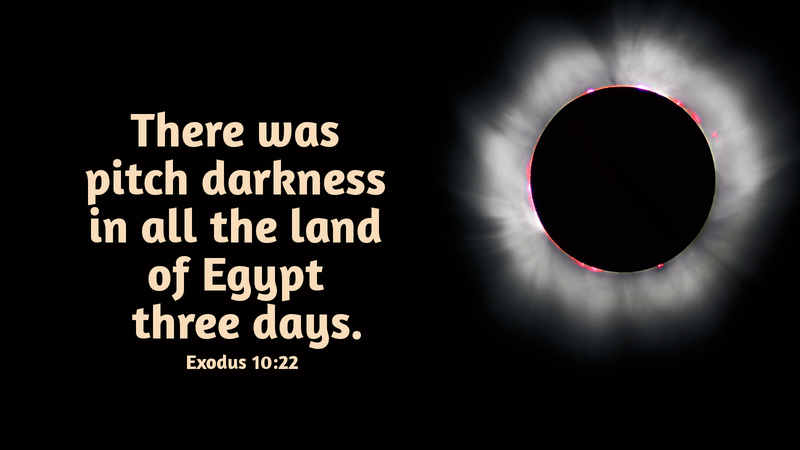 “Then the LORD said to Moses, ‘Stretch out your hand toward heaven that there may be darkness over the land of Egypt, a darkness to be felt” (Exodus 10:21-11:8). As we are now on the threshold of Holy Week, in many ways we begin to experience a certain darkness—a darkness to be felt. Some tell me that they dread Holy Week, because it brings them such sadness, as we walk again with our Lord to the Upper Room on Maundy Thursday and to the cross on Good Friday. My intention is not to try to brighten up Holy Week or to soften the blows of the nails as they pierce Jesus’ flesh at the crucifixion. There is a sense in which we need to fully experience the darkness that is to be felt. We need to experience it fully during Holy Week so that we experience fully the joy of resurrection and new life on Easter Sunday. This is the way Holy Week and Easter work. As we travel with Jesus through the events of these days, we experience the full depth of emotion and sorrow. But then we experience the heights of elation and hope that come with being at the empty tomb at early dawn on the third day! We dare not come only for Palm Sunday and Easter, and shun Jesus during His passion and death. It is a journey that must be traveled all the way through. Can we commit ourselves to walking with Jesus every step of the way? We have come this far during Lent; let us now complete the journey. Prayer: O Almighty God, let us walk in faith, the way of our Lord’s suffering and death, that we may arrive with Him at the garden on Easter morn; through Christ our Lord. Amen.